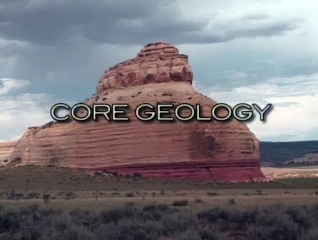 Geology is the study of rocks. 00:02:52The Laws of Geology include the law of super imposition, the principal of original horizonality, and the principle of discontinuity. 00:05:25Minerals and crystals can be characterized by Frederick Mohs and the Mohs' Hardness Scale, which gives values to silicates, carbonates, Sulfates, Oxides and Sulfides. 00:03:25Charles Lyell and his Principles of Geology and, James Hall and his study of crystals led to the theory of uniformitarianism. 00:03:18Igneous, Sedimentary and Metamorphic were discussed by Charles Lyell. 00:03:26Louis Agassiz and his Ice Age ideas led to John Tyndell introducing the concepts of global warming and the greenhouse effect produced by CO2. 00:02:30Using a Geiger counter, Bertrand Boltwood used radioactivity and radioactive decay with their properties of half-lives, including the half life of Carbon 14 to date rocks. 00:06:52Using the fossil record and fossils, Darwin developed his theory of evolution of a single common ancestor, which became part of paleontology and was further developed by George Cuvier, Stephen Jay Gould, and Niles Eldredge.